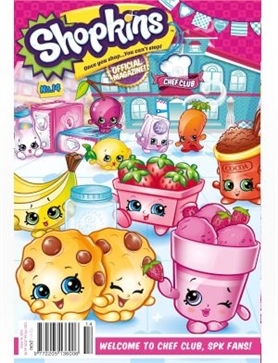 Shopkins #14 - MyMagazines - Subscribe online and save. The Season 6 Chef Club Shopkins have arrived and we are SO excited! Get to know these cute new characters with fun facts and activities. We also show you how to make Perfume Pretties Shopkins sponge art. Plus, don’t miss the final part of our special Shopkins Happy Places mini mag!